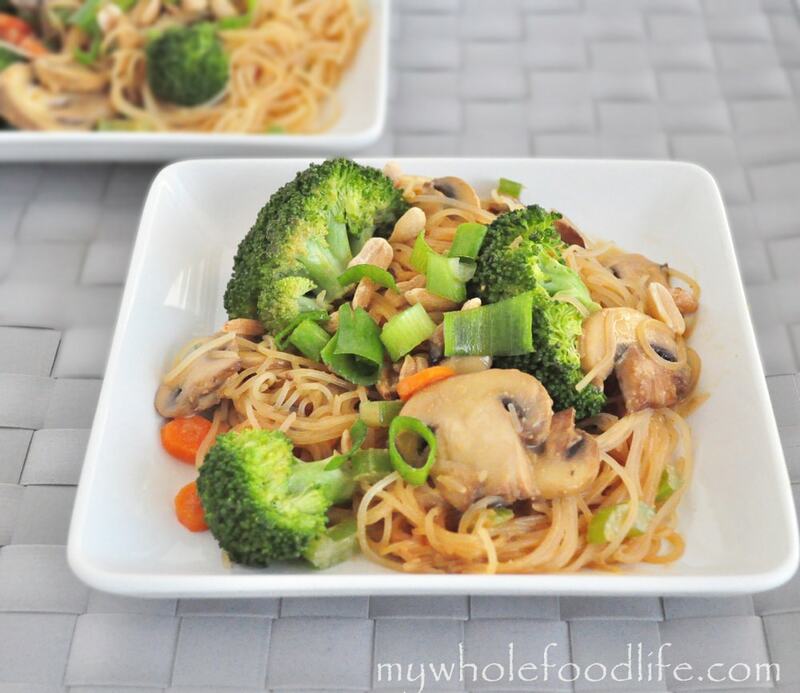 Peanut Noodle Stir Fry. Of all the different cuisines out there, I would have to say Asian cuisine is my favorite. 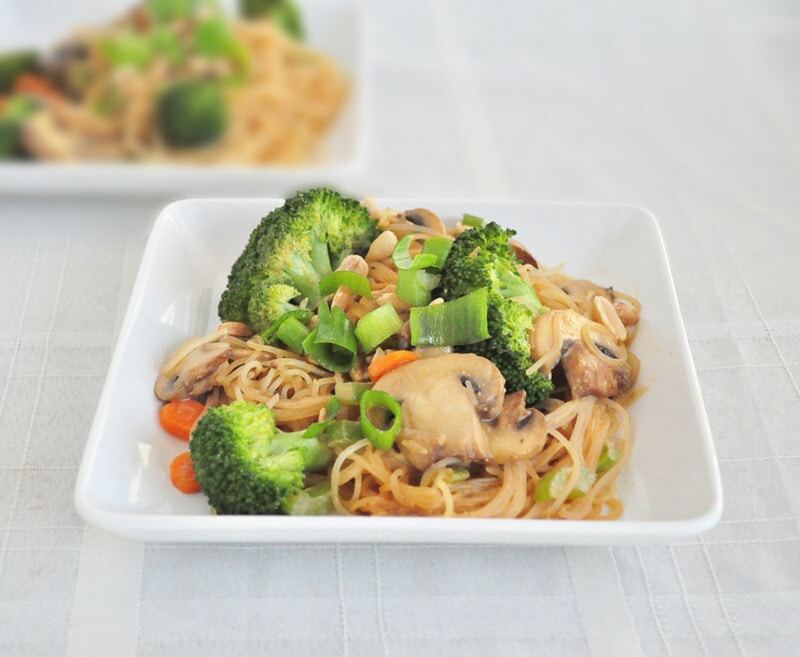 This peanut noodle stir fry dish is another one of my husband’s creations and his favorite Asian stir fry of the blog as well. Both of us love pad Thai, so this dish is a spin on those Thai flavors we love so much. It just seems as if every time we make this, we can’t eat it enough. The sauce leaves you wanting more, and the vegetables all compliment each other nicely. Any vegetable combos work with this too, so you can customize the recipe to suit your needs. You can see my husband and daughter making this recipe in this video. Cook the rice noodles according to the package instructions and set aside. In a small bowl, whisk together peanut butter, orange juice, soy sauce and red pepper flakes to set aside for later. In a large skillet pan, saute the carrots, mushrooms, celery, broccoli and onions for about 5-7 minutes or until they begin to soften. Add the sauce from above and saute for another 4-5 minutes. Saute until everything is nicely incorporated and remove from the heat. Hi, if making ahead, should I serve this out of the refrigerator? Or take to work in a crockpot and warm? You can do either. I have had it both hot or cold. I made this tonight. I loved it! Did you use salted peanut butter? That may have been the issue. I use UNSALTED peanut butter in the recipe, but using peanut butter that contains salt can make it way too salty. I ask this because this is a VERY popular recipe.